KATHMANDU, July 26: Nepal has made a significant improvement in the World Bank's 2018 Logistics Performance Index (LPI) compared to the index of 2016. The scorecard unveiled on Tuesday puts Nepal in the 114th position in the global ranking of 167 countries. 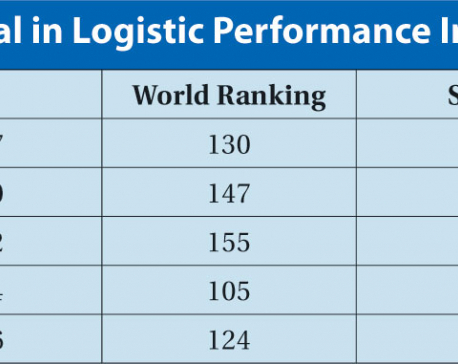 With a score of 2.51 out of 5, Nepal climbed 10 notches up this time from the ranking in 2016 Logistics Performance Index. In the 2016 LPI, Nepal had scored 2.38. The World Bank has been carrying out the two-yearly survey of trade logistics performance since 2007. Logistics is understood as a network of services that support the physical movement of goods and trade across borders. 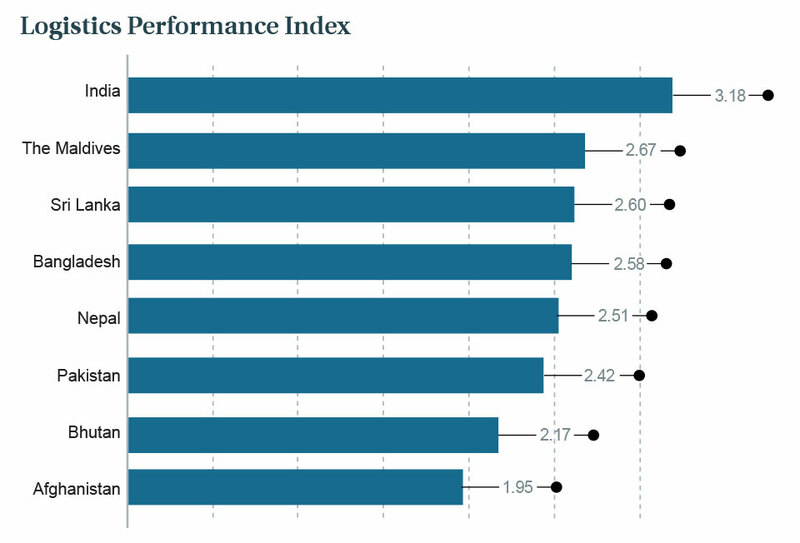 The index ranges from 1 to 5, with a higher score representing better and more efficient performance. The LPI survey data gauges the trade performance of the country to find out how efficiently supply chains connect firms to domestic and international opportunities. The LPI is weighted average of the country's scores on six key dimensions: efficiency of customs, quality of trade and transport infrastructure, ease of arranging competitively priced shipments, competence and quality of logistics services, ability to track and trace consignments, and the frequency with which shipments reach consignees within scheduled or expected delivery times. Nepal fared better in four sub-indexes while the performance in infrastructure and international shipments worsened in the last two years. Customs performance went up to 2.29 from 1.93 while the logistics competence inched up to 2.46 from 2.13. The best performance out of six was on timeliness whose score rose to 3.1 from 2.93. However, infrastructure performance fell to 2.19 from 2.27 of 2016 while the sub-index measuring the ease of arranging competitively priced shipments also went down to 2.36 in 2018 from 2.5 in 2016. In South Asia, Nepal ranks at the fifth position. India with a global ranking of 44th position tops the South Asian rankings. It scored 3.18 in the LPI. Maldives with score of 2.67, Sri Lanka (2.6) and Bangladesh (2.58) are above Nepal in the ranking. Pakistan, Bhutan and Afghanistan are at the bottom three places in South Asia with the scores of 2.42, 2.17 and 1.95 respectively. Globally, Germany retained its top position in the ranking for the fourth consecutive editions of the LPI with a score of 4.2. According to those in the business of the logistics, inefficient logistics raises the cost of doing business and reduces the potential for both international and domestic integration. They say that the toll can be particularly heavy for developing countries trying to compete in the global marketplace. 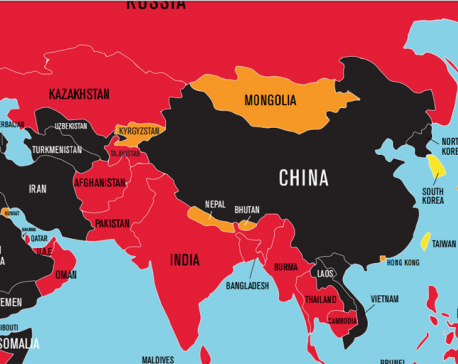 “Countries that rank lowest tend to be those that are low-income, isolated, fragile, or facing conflict or unrest. Among the lower-middle-income group countries, large economies such as India and Indonesia and emerging economies such as Vietnam and Cote d'Ivoire stand out as top performers,” read the report of the World Bank entitled 'Connecting to Compete: Trade Logistics in the Global Economy'.